Delivering precision-engineered, quality cylinders and parts for demanding applications since 1951. 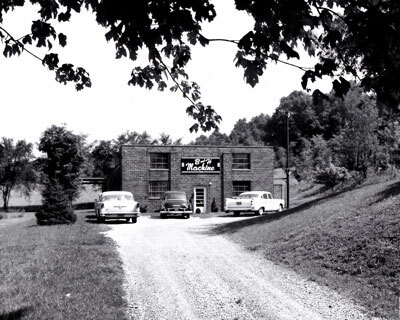 B&H Machine, Inc. was founded in 1951. Our initial operations produced tooling and fixture designs for the Army, Navy and Air Force, in addition to intricate and production machining for the automotive, mining and steel mill industries. After working many years with various hydraulic cylinder manufacturers, we began marketing our own line of cylinders in 1967. Since that time, B&H products have largely consisted of heavy-duty hydraulic and pneumatic cylinders. On November 3, 1983, we purchased the Pathon Series of cylinders from Cleveland-based Parker Hannifin Corporation, which broadened our line of B&H products and allowed us to provide additional services to our customers. The tremendous growth of B&H was by no accident. From day one, B&H products have always met the requirements of customers in the most demanding industries. Today, we continue to maintain our progressive image in the cylinder manufacturing business, and we guarantee that precision and quality will always be at the center of every B&H product, B&H design and B&H repair service we deliver. We have the capability to manufacture a wide range of cylinders and handle general machine work in our 70,000-square-foot facility. In addition to our standard catalog cylinders, we excel in providing custom hydraulic cylinders for any application. Large bore and long stroke cylinders are our specialties: We manufacture bore sizes up to 50" and strokes up to 60' with working pressures up to 10,000 psi. In addition to our design and build capabilities, we also offer repair and rebuild services on all manufacturers’ cylinders. B&H cylinders are used in numerous applications and have been engineered, tested and proven for over 50 years. Allow our engineering expertise to help you overcome your most difficult cylinder challenges.